One of the most comprehensive studies on long term care (LTC) costs is from Genworth Financial, a leading Fortune 500 company. The Genworth 2018 Cost of Care Survey encompasses national long term care costs and surveyed over 15,000 long term care providers. Local long term care costs are important for Utah residents to consider. The cost of long term care services is a key factor in choosing how much long term care protection to include in your financial plan. The U.S. Department of Health and Human Services says that about 70 percent of people over age 65 will require some type of long-term care services during their lifetime. Yet, the need for long term care does not only impact seniors. Consider that 40 percent of people currently receiving long term care services are ages 18 to 64. 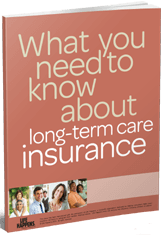 Get Utah Long Term Care Insurance Quotes! Financial stability reviews of each long term care insurance company’s financial rating, size and claims paying experience. Long term care insurance agents serving the cities of Bountiful, Layton, Lehi, Logan, Murray, Ogden, Orem, Provo, Salt Lake City, St. George, South Jordan, Taylorsville, West Jordan, West Valley City and all cities in the State of Utah.